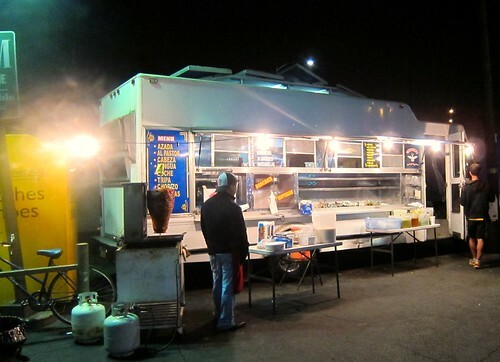 At the corner of Hoover St and W 20th St in the parking lot of a Mobil gas station is Tacos Tamix #2. 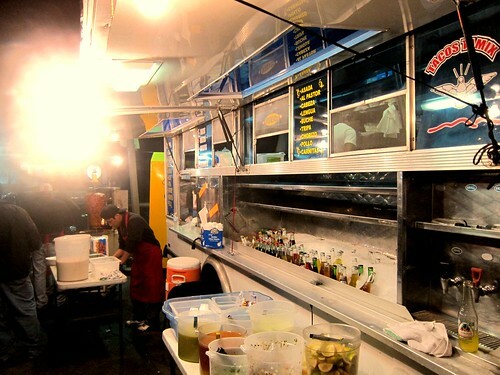 I’m calling this truck #2 for no other reason than this is the second Tacos Tamix I have been to. But I ‘m not the first on the scene when it comes to Tacos Tamix #2. 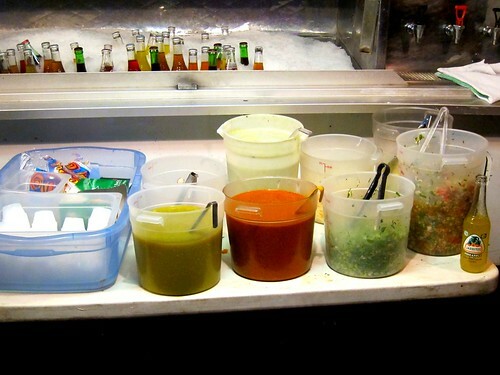 Sino Soul, LA’s most controversial food blogger, who doesn’t read amateur food blogs, and likely won’t read this shout-out, wrote about Tacos Tamix #2 back in March. 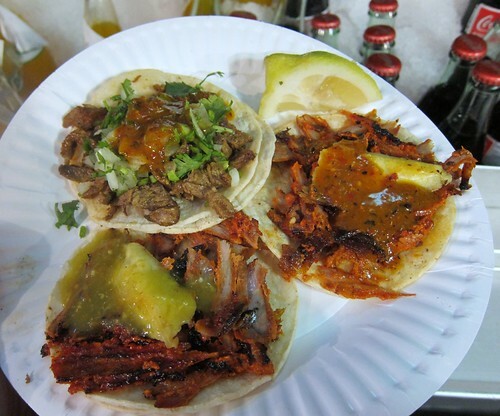 Now, there are a lot of al pastor spits in Los Angeles but not many cut the pork right from the spit on to the tortilla and then flip a snippet of pineapple on top. The taquero at Tacos Tamix #2 has the carving down but his pineapple skills need a little work. There was no snippet of pineapple flying through the air and landing on my taco, but that didn’t change the quality of the pork. It was fantastic with the perfect balance of tender meat and charred smoky bits. The pork goes better with the salsa verde, which has a little spice to it, but not enough to overwhelm the taco. The salsa roja goes better with the carne asada which was better than average. 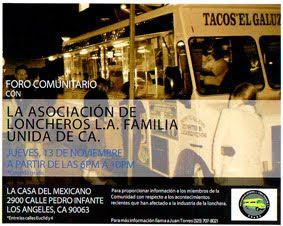 But the asada is not why you come to Tacos Tamix. Stick to the al pastor and a cold bottle of Mexican coke to wash it down. I ordered two more al pastor and drizzled salsa verde over them. The meat is good enough that you don’t need a lot of salsa and at $1 each it feels like your committing a crime if you don’t drop a couple extra bucks into the tip jar. The spit is out Friday- Sunday from 6:30 until 2am. 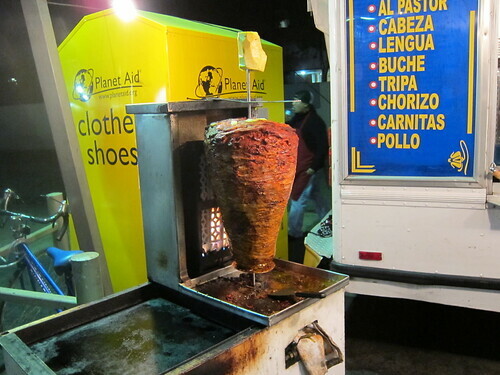 The truck is out every night except Monday, but for the al pastor wait until the weekend. Get there before midnight to avoid the drunk crowd, or after midnight to avoid the sober crowd. USC's Spring sessions are over, and it'd make sense that business is absolutely dead. Actually, Sinosoul's Tony seems to hold you in high regard. I was surprised at how dead it was. When I've driven by in the past around that time, it was busy. It's too bad really. That location is more convenient to me than the one on Pico. But I've never had a bad experience with the Pico one, so I'm going to keep going to it when I'm visiting friends in the area. Maybe they just didn't have the traffic the night I went. Or I just got the back up taquero. His slicing skills were almost hysterically bad, especially when he tried the showy flick cut of the pineapple.